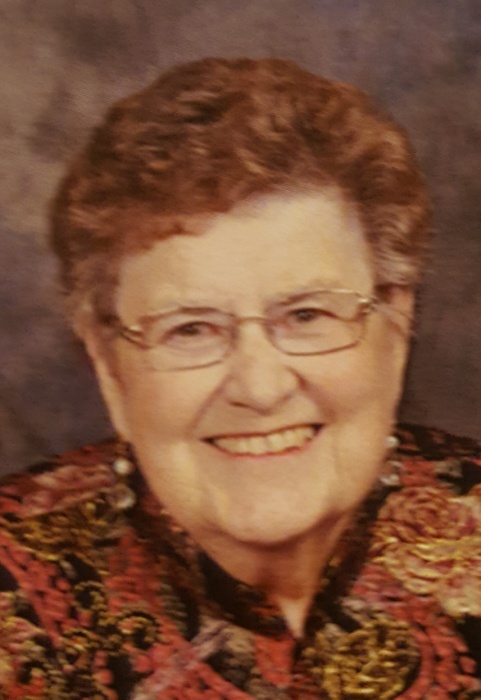 Joann Malfait, 85, of Woodburn passed away unexpectedly Friday, November 2, 2018 at Parkview Regional Medical Center. Joann was born in Arcola on September 22, 1933 a daughter of the late Frank & Donna (Plattner) Landstoffer. She worked as a bookkeeper for Woodburn Equity Exchange. Joann will be remembered for her deep faith and love for her family. On Nov. 29, 1952 she married Joseph Malfait who died Oct. 18, 1984. Joann will be sadly missed by her children, Joseph (Janeen) of Woodburn, Mark (Carolyn) of Coldwater, MI, Karen (Lynn) Cress of Decatur, Keith (the late Janeil) & Kathy (Jerry) Baumle of Payne; siblings, Marilyn Ball & Robert Landstoffer, both of Fort Wayne & James Landstoffer of New Haven; 10 grandchildren & 18 great grandchildren. She was also preceded in death by her brothers, William, Terry & Larry Landstoffer and granddaughter, Katie Baumle. Funeral mass is Wednesday, 10 am, Divine Mercy Catholic Church, 203 W Townline Street, Payne, Ohio. Viewing is Wednesday, 9 - 9:30 am at Dooley Funeral Home, 5761 SR 500, Payne, where viewing is also Tuesday, 2 -7:30 pm with the Rosary recited at 7:30 pm. She will be laid to rest at St John the Baptist Catholic Cemetery. Memorials are for Masses or the Cystic Fibrosis Foundation.